Ten years ago today, West Coast longshore workers celebrated May Day by walking out against the wars in Iraq and Afghanistan. May Day — a legal holiday for workers in most countries — was born in Chicago. On May 1, 1886, workers shut down America’s greatest industry city, and other cities too, to demand the eight-hour workday. In 1894, the US Congress intentionally created a Labor Day at another time of the year, but some Americans continue celebrating the original, real Labor Day. On May 1, 2008, ten thousand members of the International Longshore and Warehouse Union (ILWU), one of the strongest and most militant unions in the United States, walked in those Chicagoans’ footsteps. They did so by walking off the docks at all twenty-night West Coast ports, completely shutting down America’s Pacific trading network. These workers did so, they said, “to demand an immediate end to the war and occupation in Iraq and Afghanistan and the withdrawal of US troops from the Middle East.” Their action revealed the power of organized labor as well as ongoing frustration with US wars that continue to this very day. Subsequently, Local 10 offered a resolution at the ILWU Longshore Caucus, in which workers elected from every local meet to establish union-wide policy. They proposed a “stop work meeting” during the day shift on May Day to protest America’s imperialist wars in Iraq and Afghanistan. Although within their contractual rights, rarely are such meetings held for an entire shift, let alone for a day shift or for a political reason. 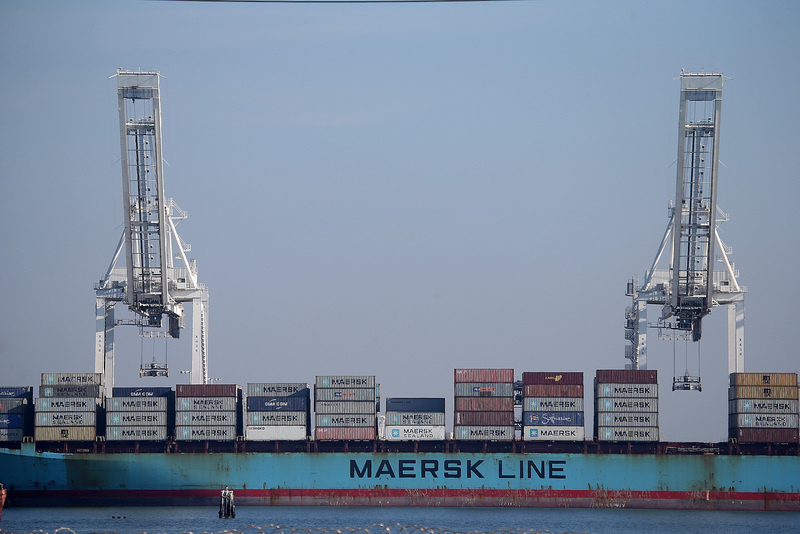 The International officers and Local 13 officials (Port of Los Angeles-Long Beach) urged caution, as recalled by several workers present at this caucus. However, as Samantha Levens, then a rank-and-file member of the San Francisco Region of the ILWU’s Inland Boatmen’s Union, recalled in an interview with In These Times, “Members from across the ILWU rose and spoke in favor of the resolution. I was new to the ILWU at this time, so this was the most moving thing to me. Many members spoke passionately against the war, many were veterans or had children in the military.” The resolution passed 97-3. That was uncertain going into the action, because PMA [Pacific Maritime Association], the employers’ association, was publicizing that the action was illegal and they’d take action in courts to stop it. Besides, they arrogantly stated that the largest longshore local on the Coast, Los Angeles, would go to work. LA officials were not committing themselves, but on May Day the membership spoke loud and clear. Nothing was moving on the docks that day! The 2008 action belongs to the ILWU’s eighty-years-and-counting history of labor and political activism. From its inception, the ILWU has been racially integrated, and Local 10 has proven particularly committed to recruiting African Americans and other working people of color. In their formative “Big Strike” of 1934, dockworkers won a coast-wide contract, a union-controlled hiring hall, wage increases, and more. Dockworkers refused to handle cargo for fascist Japan in the 1930s and from apartheid South Africa in the 1960s, 1970s and 1980s. In 1999, the ILWU shut down the coast to demand the release of journalist, former Black Panther and death row political prisoner Mumia Abu-Jamal. Arguably, their effort played a role in stopping the state of Pennsylvania from executing him. On May Day 2015, to protest police killings of African Americans, particularly Walter Scott in Charleston, South Carolina, Local 10 shut down Bay Area ports. And last August, the ILWU helped lead resistance to a planned alt-right protest in San Francisco.